There is no "head" at 00:06 in the opening seconds of the video. Go frame by frame. Again, perfect aim through smoke. My friend Occam and my friend Razor say that perhaps this was just a rush editing job and some of these tells were missed. Jesus, so many babies in this thread. JackFrags doesn't cheat... he's very very good at most FPS he plays. You can see him make far more mistakes on his live streams since he doesn't edit it all out. I'm sure there are people hacking in this game, but seriously the dude up above me saying "cheaters come out at night" is just getting owned by players who are better then him. BF has always been more competitive at night when the majority of the playerbase is online. I've watched so so SO many old dudes who are just terrible at FPS games cry about hacking when anyone who has fast reflexes comes along. Play some Counter Strike or something, it'll help y'all out a lot. Ill never buy another EA game what a waste of money. That guy in the video cheating like crazy Reeeeeeeeeal crazy. Look 1:33 he sees the guy behind the sandbags. Cause he using esp. There was no way to no that guy was there. Then he snaps and finishes him off with the aimbot. It's sad really . STICK a fork in it Hackerfield V is DONE. I noticed that moment as well. How is he seeing these people? I'm reasonable, tell me what I'm missing. And for those of you who don't know, Jack use to stream with a friend named Frankie, who got busted for hacking. Played tonight and the hacking is insane now. Hackers breed like rabbits here because everyone knows it is now a free for all. Tried jumping from server to server, but they have saturated the game. 11:28 Just before he goes into ads you see the flash from the guy in the smoke firing which is where he aims so just luck that he did not move, also since he clips together his own videos he only shows good things? and not the many times these sorta things didn't work out. 14:00 Sometimes you get used to the poor visibility but the guy was lying out in the open so yeah. I agree cheating do not even seem that uncommon at the moment but will hopefully get better and i wish we have console command or some way fast way to rejoin as spectator as it is best way to confirm the more subtle cheaters and even people who do cheat don't always get impressive scores. 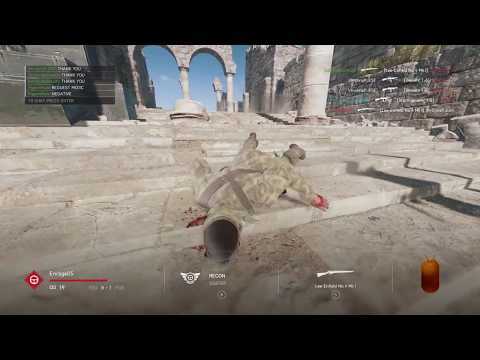 Had 1 guy on arras ke7 impossible to flank, 1 shot me 3 times dismissed it as ttd bug first time then got way to suspicious, rejoined as spectator full out wh and for some reason damage hack only on headshots -> headshot one shot regardless of distance but body shots were normal damage and aimbot was toggled on / off during the round. I have played the video back frame by frame and there is no muzzle Flash when he shoots precisely through the smoke at 11:28. Please post a screen shot of the muzzle Flash. Additionally, I never said that Jack cheats. I was asking for clarification as I cannot understand how these shots were accomplished. There are other issues in the video as well, however, this was not an exhaustive review. Did you go to the Pelliy school of calculations? Not sure what that means since english isnt my first tongue. It was an interaction that I had with a regular here on the forums. I claimed that 1% of the player base being hackers would meant that pretty much, every other round would contain a hacker. I even explained that every 2 rounds that have 64 players contains 128 players...But then he went and claimed that this means that 1% of all total rounds have hackers...thus 1% of all of the 64 players in the 100 rounds is a hacker. How did he get that? I don't know, but if that is not an argument to ban drugs, I don't know what is. Completely ruins the experience...and it only takes one. Server today, didn't matter what class, what gun, nothing but critical headshots. A bunch of us report him, but it won't do any good. It is the guy's first post. Troll account. I ran into a subtle aimbotter/scripter yesterday on Frontlines. 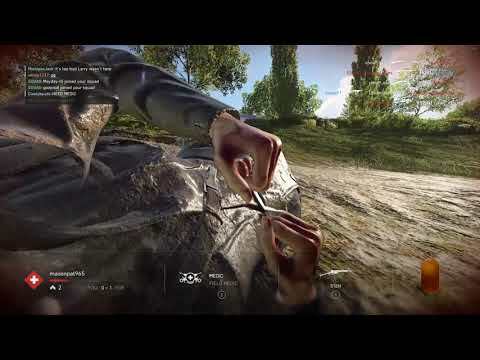 He ran the Gewehr 1-5, and was pulling off top tier kill totals and impressive multikills. Nothing humanly impossible, but it felt suspicious considering the circumstances. He wasn't blatant about it, and I managed to kill him a few times on 1v1 faceoffs. However, upon googling him, I found a hit on a BF1 cheating site asking for help on an AHK aimbot script he had downloaded. He was being clever, having modified his username by adding one character in a way that doesn't change the pronunciation. However, the cheat author responded to him and addressed him by typing the name, but accidentally dropped that extraneous character, so Google matched him nicely. Upon expecting his stats, it shows that he is running the Gewehr 1-5 practically exclusively. So I'm convinced he is again using either an AHK aim-enhancing script, or a full-blown cheat with a soft aimbot. He was running in a full platoon squad, probably getting admired for scoring triple the kills they get. Considering it was Devastation, he probably has chams as well to aid in picking out targets. I don't think he had wallhacks, since I was able to ambush him a couple of times (his squad always went to the same D flank from C). Nice catch, very nice. Too bad you will get the standard denial from the usual suspects in the forums. Played with a cheater this morning, one of our guys got into a conversation with him about his use of cheats, the guys overall thought process about using cheats was that it didn't make him a bad person in real life so it's ok to do it in a game. The ****? I just made the account to ask for help with my monitor. I've been playing this series since 1942 and dealt with a very large amount of salty idiots who think I cheat. This community is wild. Also, why do my replies to this guy just keep disappearing? I have sent in videos to EA, with blatant hackers in them. I host those videos on streamable.com. Those videos track the number of views. Some of the videos that I have sent in to EA have had zero views.Can you comment on how that could be possible? You know I never really believed this when people said it. The zero views thing on a report video.. So I finally started tracking views on videos I sent as evidence and sure enough its true.. ZERO views on most. This is for hackers/ racist crap/ reportable things..
And the couple that do have views I suspect are random people who randomly came across my videos. This game does not sell to expectations, how to cover it financially and earn at least some money for the shareholders, perhaps by allowing as many cheaters as possible to pay for the party. It's amazing to, when Battleye bans 13 million accounts out of 50 millions, and some here just shrug their shoulders and think it's not a problem that concerns the BF series. But when dice bans only 5,000 players (only free cheat-sites) As in BF1, the fanboys pay tribute as if it were the hugest achievement, and the answer that the whole anti-cheat waiting for, it should say a lot. I would guestimate, 1/15 players use some kind of cheat to assist them. People are randomly throwing smokes where it doesn't make sense. They are pop shotting from across the map (this invloves all classes). You're constantly being head shot randomly around corners and extreme long distance (this invloves all classes). Getting headshot constantly through smoke. I mean, it's too obvious. Question is, "If you play this well in the game, then why haven't you joined the armed forces?" In RL, cheats don't exsist, and you only have 1 life. 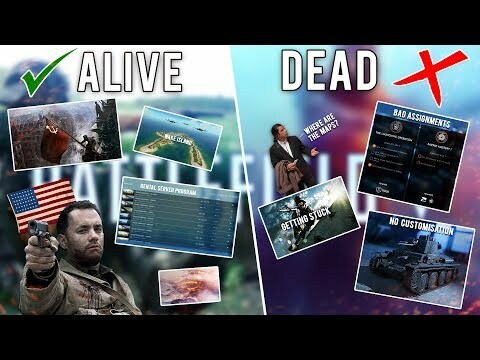 Ok, kinda bored these days, this is for those who think jackfrags is hacking. I have a few uncut rounds of my own that would match your description of what you guys deem to be hacks. Give these a watch, and I will tell you exactly what happened in any moment you find questionable, if you give me a time stamp and your questions. AMA or a workshop if you will. At the office atm, so won’t be able to answer right away, but for any questions you guys pose I will do my best to try and inform you the best I can. 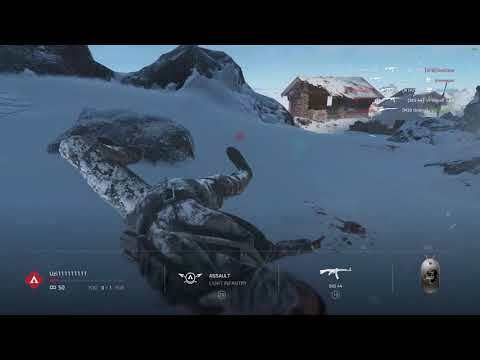 I'd love to see people in this thread watch someone like Shroud play BFV and whine about him cheating. I'm sure there's cheaters playing this game, don't get me wrong, but seriously this community has some of the most ignorant old idiots who think anyone with decent twitch reflexes is a hacker.